Are you interested in helping people during disasters? Want to learn about satellites and high tech electronics? Want your computer to connect around the world via wireless? Think it would be cool to talk to Astronauts in space? 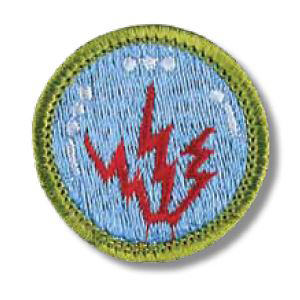 Then explore the world of wireless communications through Radio Merit Badge! To help Scouts complete the badge in one day, a Radio Merit Badge class will be held Saturday, January 5, 2019. The class is limited to the first forty Scouts who register. Adults interested in learning about radio are welcome to participate. Read the 2008 or newer Radio Merit Badge pamphlet pages 1-67 and 89-91. Print a copy of the Radio Merit Badge Drawing Requirements. We encourage you to complete the chart of the Electromagnetic Spectrum before the class. Report to the STEM Building by 8:45 AM on Saturday morning. If your leaders or parents aren’t staying, make sure that you are picked up at 3:00 PM. A signed copy of the permission form. A fully completed Merit Badge Application card for Radio Merit Badge signed by your Scoutmaster. Your printed copy of the Radio Merit Badge Drawing Requirements with the Electromagnetic Spectrum chart completed. Evidence of any requirements you may have completed in advance. A bag lunch and drink. A notebook or clipboard to write on. Proper uniform, good behavior and interest! While the course is free, a $5 donation at the door to cover costs is most appreciated. If you have any questions about the class, please DO NOT call The College of New Jersey.